From Season 3 of the hit series Arrow, Oliver Queen is back in action as The Arrow. 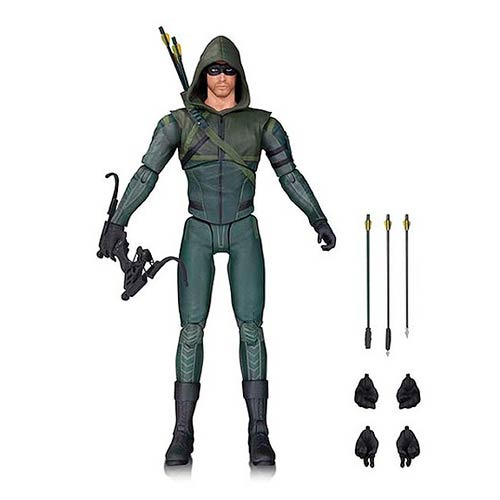 The 6 3/4-inch tall Arrow TV Series Arrow Season 3 Action Figure, based on the Warner Bros. TV show on The CW has multiple points of articulation and includes multiple accessories, such as multiple pairs are alternate hands, Arrow's latest bow, and 3 special-tipped arrows. Ages 14 and up.